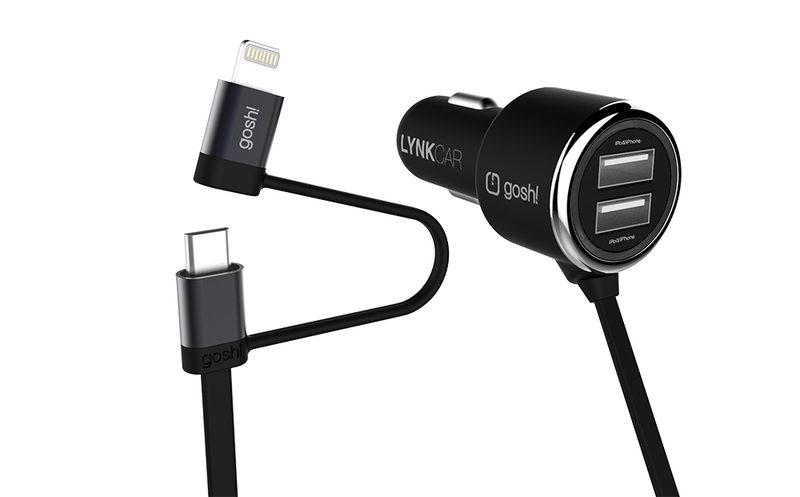 LynkCar is the perfect car charger with its patented built in 2in1 Lightning and MicroUSB connectors cables. 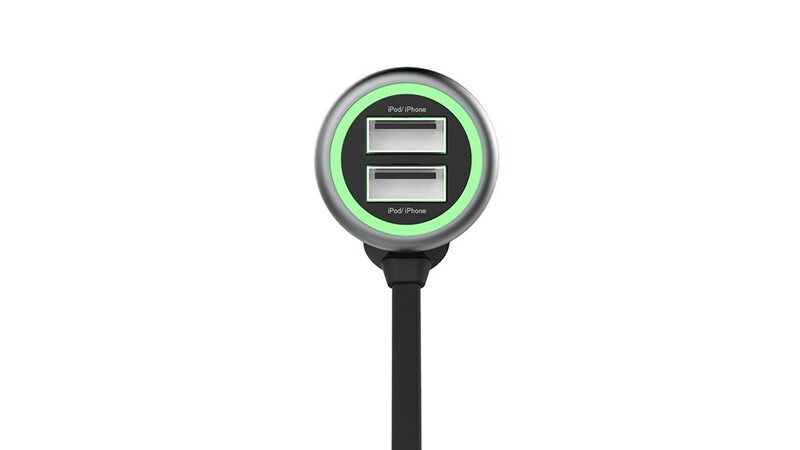 This cable delivers 2.1A output for fast charging and another 1A + 1A USB port for all your oher mobile devices. 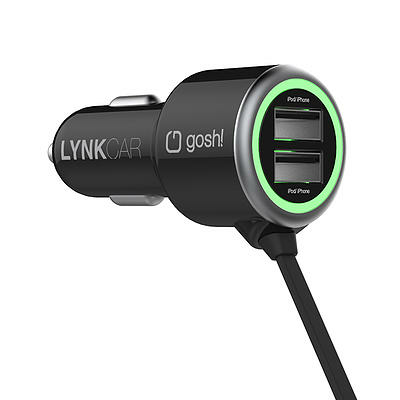 LynkCar supports all Apple and Android devices. 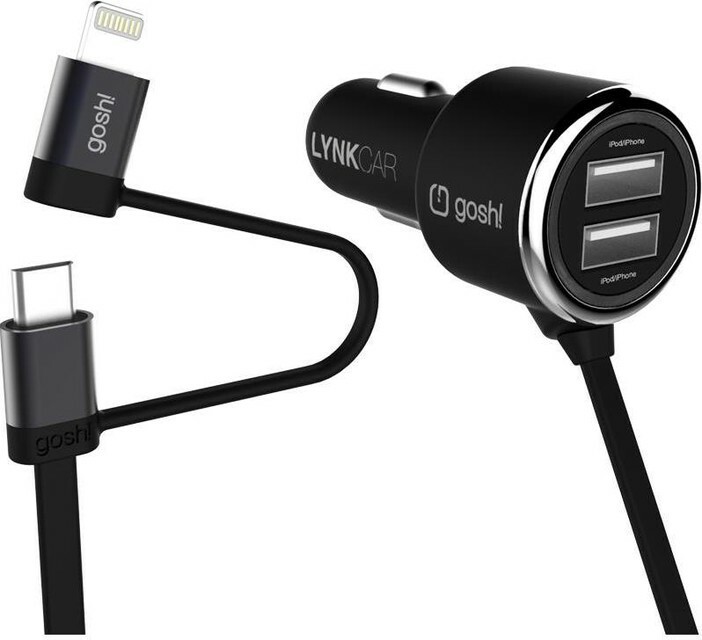 It has a flat coiled cable that eliminates tangles and stretchable when required. 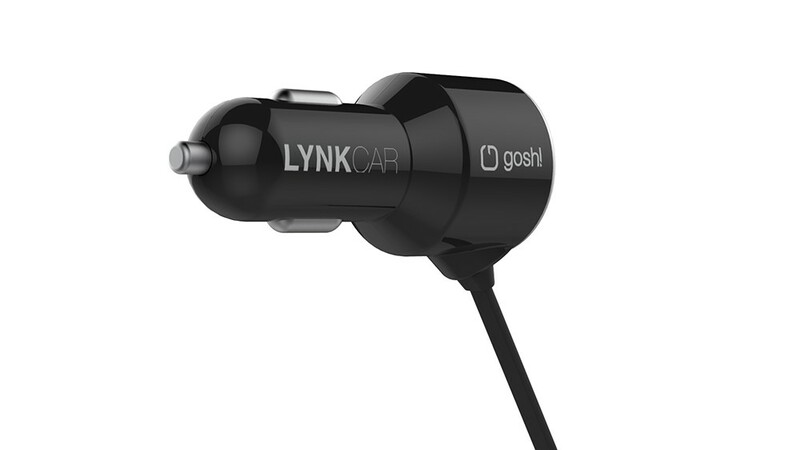 Safety: Built-in Short Circuit Protection with Intelligent IC Chip. 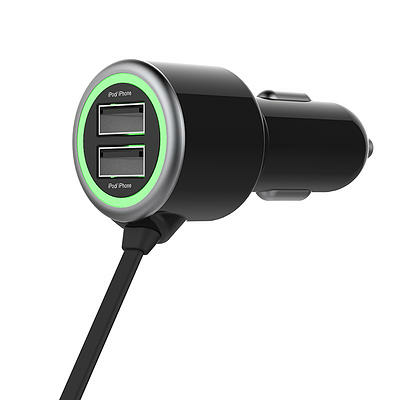 Performance: Built-in Smart IC for Apple & Android Top Performance Charging.